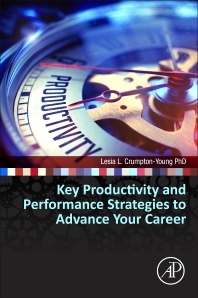 Key Productivity and Performance Strategies to Advance Your STEM Career shares valuable knowledge and insights on best practices used by high performing individuals in the STEM fields to enhance their professional endeavors. The strategies contained in this book are based on Lesia L. Crumpton-Young's experience and expertise as a STEM professional and a certified Life and Career Coach. The book includes real-life examples from STEM professionals of career hurdles and efficient solutions to reaching your career goals. It covers effective goal setting, decision-making, and how best to overcome doubt and criticism, as well as practical advice on critical path analysis. Finally, the book includes a five-year career planning tool, along with additional problem statements and exercises, making it a valuable resource those involved in the STEM fields.